Do Black Women Care About Motherhood and Parenting? A quick jaunt around the Net will let you know several things about black media. The one thing that sticks out to me the most, especially the major black Web sites such as Essence.com and AOL Black Voices, is their consistent lack of coverage of parenting issues. What I tend to find is in-depth coverage of celebs, sports, living a fabulous life, and stories about national crises, for example. It seems to me that regular coverage of family and parenting issues is constantly on the back burner. On the other hand, if you seek out parenting information that is primarily geared to white families, there is no end to web sites, books, magazines and even television shows out there to choose from. They’re veritably endless, to be sure. But in the black community, however, there are very, very few. Why do you think this is the case? Do you think black mothers and fathers really care about parenting? 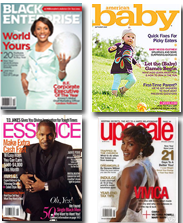 Do you think mainstream parenting media is well-suited to black families and there is no real need for black parenting media? 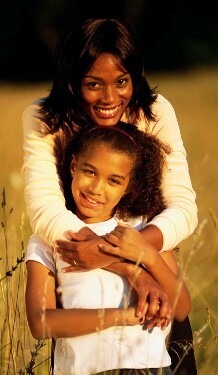 Do you think parenting information largely falls on deaf ears in the black community? We’d love to hear your thoughts. Next postEbony Magazine — Still Relevant? I think that a lot of people in our community are parenting solely based on the way they were parented. I would say they’re just less interested in learning new ways to address current issues that we as parents are facing today. Good observation. I never thought of it that way. Thank you for leaving a comment!